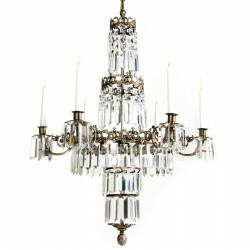 Swedish Style, Chandelier Tapper. Special stamped rings. Prisms. Interiors: entrance hall, dining room, over the dining table. Traditional Swedish style model for regular ceiling will look great even of your interior is not so purely Scandinavian. 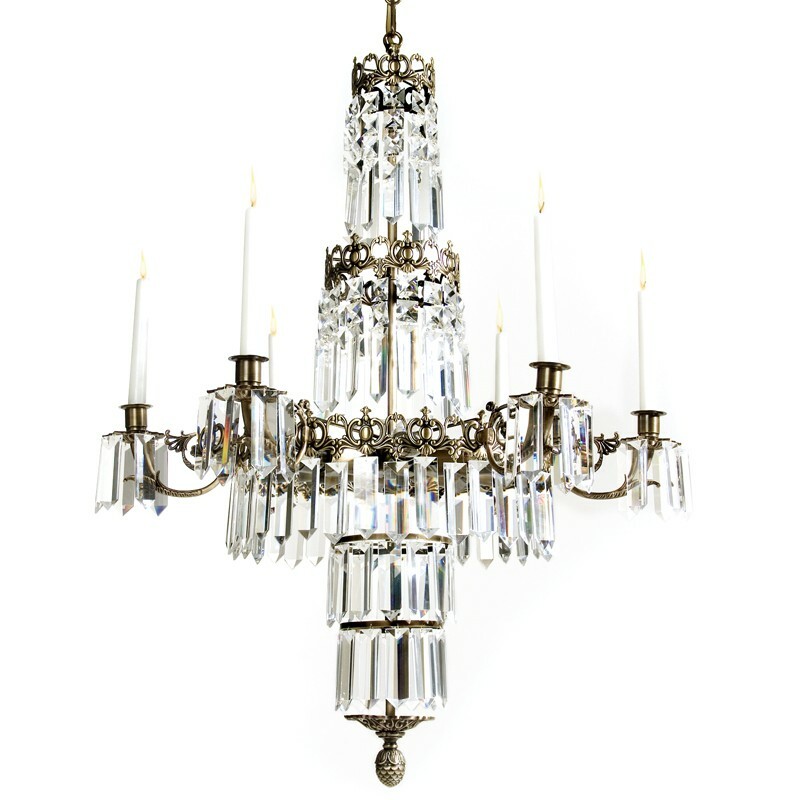 Fell free to find a place for this beauty in your home or hotel. And, in return, it will bring lots of value to your place. 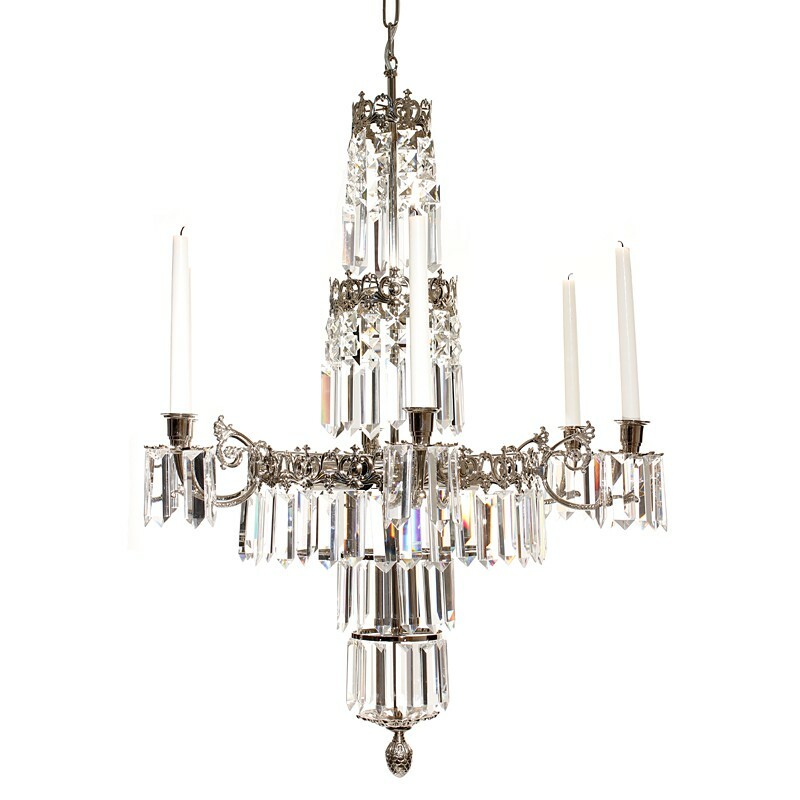 It is beautifully crafted using best obtainable brass components and trimmed with hand cut crystal prisms. Special stamped rings. Prisms. . 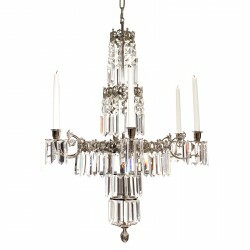 Ideal places for this lamp: entrance hall, dining room, over the dining table.